Use BrandMaker Marketing PIM to manage your product information in media neutral format for optimal reuse in all output channels. With this solution, you have full control over your localized marketing materials. All product data can be combined with the corresponding advertising material and digital assets as it is centrally available. Marketing PIM manages all content required for product communication – from advertising copy to relevant product features. Product-related content, such as size, weight or other details, can be centrally organized in the system and within the desired metric. Prices can be entered in different currencies and languages. Thanks to the high degree of automation, you can adapt and localize your advertising materials considerably faster and more efficiently. 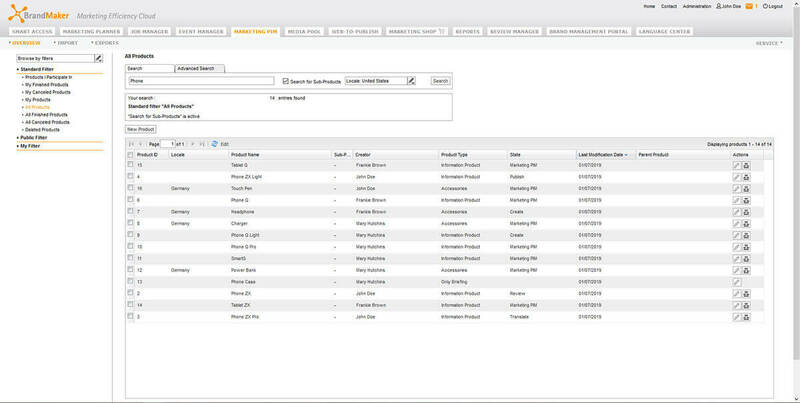 Store all marketing-relevant product information centrally in the Marketing PIM. Thanks to the high degree of automation, you can efficiently adapt and localize content. 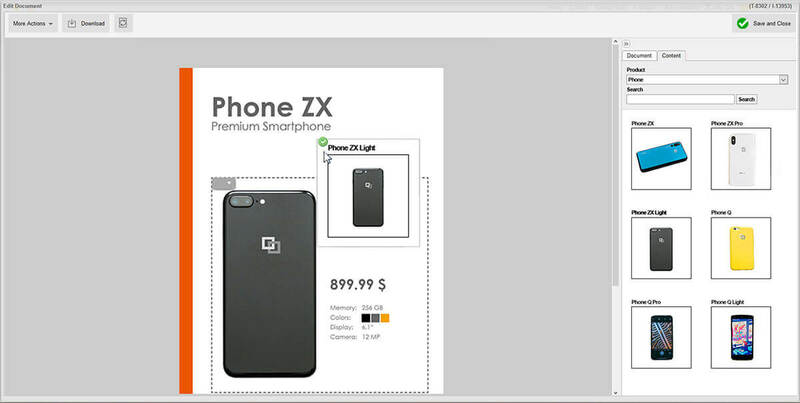 Shorten the time-to-market and reuse product information in marketing materials. In contrast to conventional PIM systems, the data stored in Marketing PIM can be qualitatively enhanced with marketing-specific content from creatives such as flyers, newsletters and brochures. This significantly shortens the time-to-market of your localized messages. 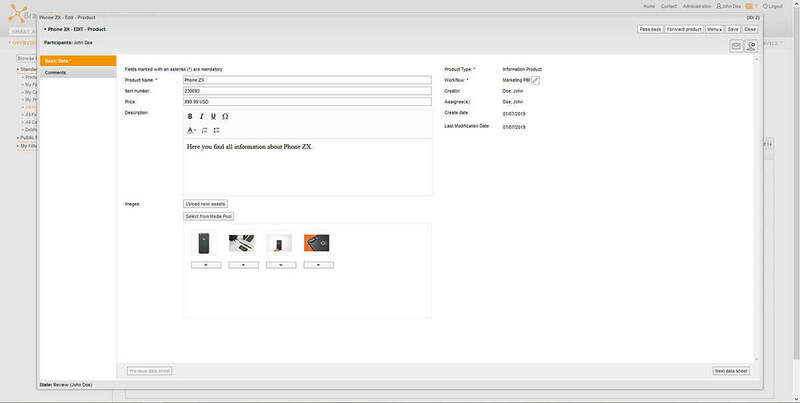 For each product, product folders can be configured for structured product data maintenance. In addition to pure product data, the folder also contains additional information such as the person responsible, other contacts involved, the current status or the validity period of the product data. Open interfaces provide seamless connectivity to other tools, such as systems for the master data management or corporate translation management systems. 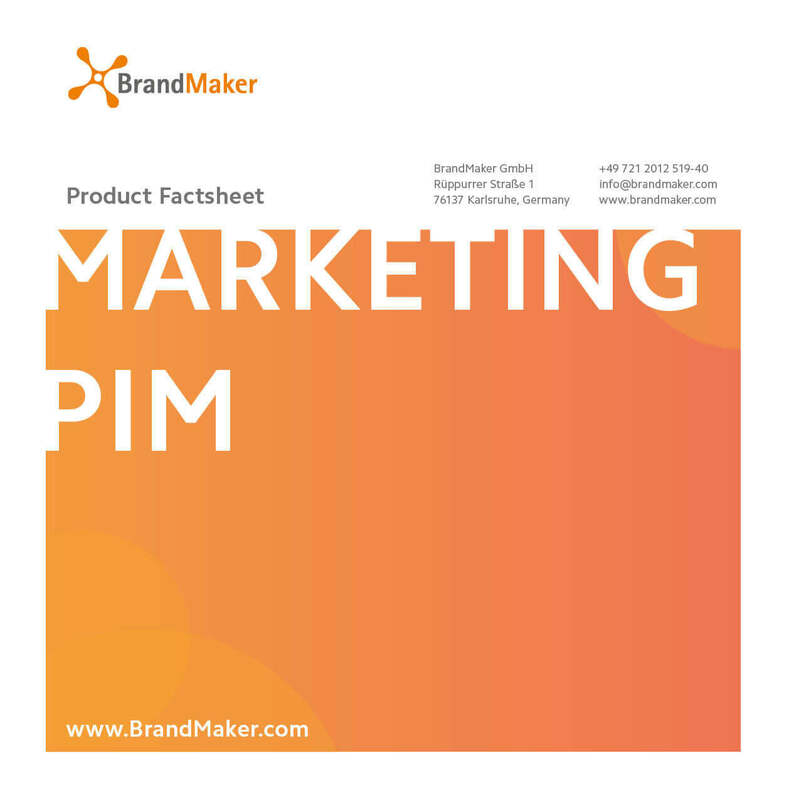 In addition, Marketing PIM is fully integrated into the BrandMaker Solution and can therefore be used with other modules without additional requirements. This enables your to optimize your digital asset management via interfaces to the Media Pool or to improve your creative process via Web-to-Publish.